Commissioner of Police and Deputy Chief Political Commissar Olivia Wawire. Acting District (Jinja) Police Commander for four months during the 2006 General Elections. 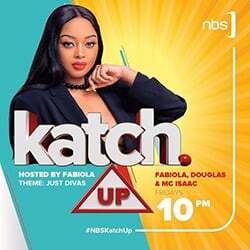 She had her lower level of education at Namburu Primary School, dropped out of St Andrews College Tororo before completion of her O’level for lack of school fees opting for the Police Force. 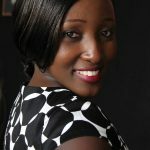 She later returned to school and acquired her O’Level certificate in 2005 at Jinja Parents College. And studied a Bachelor of Social Works and Social Administration from Kabale University 2017. Memories bad or good are the hallmarks that record a life that has lived. In the life of Olivia Wawire lies memories from which a senior two dropout joined the Uganda Police Force as Constable and went on to historically be recorded as the First Woman Police Fire Brigade Officer in 1981, First Regional Fire Officer and First woman Regional Police Commander in greater Masaka in and Kigezi sub region in 2004-2015. A road too easy to maneuver for a young woman in Police in the 1980s would have been better served as a winning fictional story because Olivia Wawire recalls it to have been a tussle, “ ….people don’t believe in you as a lady. You have to fight for your gender role as a lady. By the time they believe in you, that you can perform better in your role, you would’ve taken a lot of time for…your managers within the Uganda Police force to accept that, Yes…you can do something”. Now at the rank of Commissioner of Police and Deputy Political Commissar, the Uganda Police Force has only had two women including herself appointed as Regional District Police Commanders to date after Wawire opened the gates in 2004. Never easy for women in the Police uniform but Wawire emphasizes that, “ women must be committed and demonstrate that they’re capable of handling situations. A woman should not always say, I am sick, I am not respected…I am a woman…those things really reduce our values…our effort of performance and people look at us as people who can’t do bigger events but we can do it”. Wawire’s resolve in suppressing fire and rescue as a fire brigade officer for close to forty years elevated her roles to also serve as third in command in Fire brigade, regional fire officer of South Eastern Uganda hands-on in both administration and operational work. “…you have to rescue from the highraising buildings, you’ve to go deep in the pit to rescue from there or recover dead bodies, you’ve to suppress fires, all those things, I went through them….yes…actually I was even the second when we did our exams …practically I did it …so evenbin the field of today, women need to exhibit those core performances so that people can believe in them,” she explained. So long to the years when Wawire joined the Fire Prevention and Rescue Services which had only one operational vehicle in 1980 for today, she is grateful for the several Fire tenders and Fire satellite stations that the Force has acquired over the years. Behold the hiccups to which many a property and life has been lost to the enraged fires some of which the force has been unsuccessful at suppressing, Wawire nonetheless, alludes to the Force’s mission statement- To Everybody which tasks the brigade to partner with the public in protecting lives and peope. “…my achievement is based on diversity; if I fail it means the public has failed. They’ve a role to play, incase there is an emergency like fire, mob justice…the role of the public is to call fire brigade…but in most cases they don’t call us….they try and fail then they call..,” Wawire said. The mother of six whose determination overcame the countless police transfers without her family on many occasions has had memories full of terror and bravery combined while on call, “…when people in Kanungu were burnt in church…we’d to remove those dead bodies and bury them in one grave…I was there throughout when we were removing those dead bodies and taking them to bury them,” she painfully remembered. She added, “…I was made to cut the flesh of one of the dead bodies to take it for the analysis…..I carried all those things from Kanungu and took them to a Government chemist…I finished two years without eating meat…..even today when I remember of it…I still smell it…”. Worthy is service to whom it comes beyond selfish interests and for the safety of others. It would be a lie to conclude that Wawire hasn’t had memories of bliss within the Force, “ …three days to Women’s day in Kololo, sometime back when I was ASP…they looked for someone who could grab those commands within a minute….I grabbed the commands and commanded the parade which was very successful…being the parade be commander…I was very happy. I moved with his excellency and for him to appreciate what you’ve done…”. Memories that which liven the heart of an officer like Olivia Wawire sad or happy have no labels or titles but are just a little of the largest part of a life she has lived.